A confluence of key driving factors has unleashed a growing wave of off-grid solar PV and mini/microgrid installations and systems deployments across the developing world. 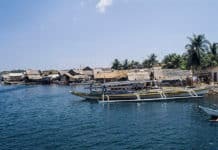 Sharp drops in the cost of solar PV equipment and, more recently, lithium-ion batteries (LiBs), along with development of mobile e-payments and cloud network software-as-a-service (SaaS) platforms is fueling unprecedented gains in rural electrification and local sustainable energy and development. The benefits and returns are accumulating fastest, and spreading farthest, in Sub-Saharan Africa and India. The ability of multilateral government international development agencies and other socially and environmentally-minded organizations to tap into and collaborate effectively with solar energy/clean tech entrepreneurs and local communities has been a key, fundamental driving force. A case in point emerged recently with news that Indian and African government representatives are in the midst of crafting a joint, South-South sustainable energy/sustainable development public-private partnership aimed at eradicating energy poverty in Africa. Off-grid mobile pay-go home solar energy systems, energy efficient household products and solar mini/microgrids are bound to play a leading role in any resulting initiative. Leading Sub-Saharan African and international mobile pay-go solar venture companies have been raising equity, and just recently, debt capital, from international investment groups and multinational corporations, proving that a new, 21st century development model centered on forging community-driven public-private partnerships can establish a foundation for sustainable energy and socioeconomic development. Similarly, rural, off-grid home solar PV systems and community solar mini and microgrids have emerged as core elements in realizing the Indian and African government’s universal electricity access, renewable energy and climate change action strategic plans and goals. African and Indian government representatives are attempting to take all this to a higher level with plans to launch a joint effort to eradicate energy poverty in Africa under way. “Pieces are falling into place for an important collaboration between India and Africa to end energy poverty. The stakes are high, as sub-Saharan Africa and India account for over 80 percent of the world’s 1.1 billion unelectrified,” Power for All’s William Brent wrote in a Thomson Reuters Foundation news report. This warrants particular attention internationally given the flood of refugees fleeing their homes in Africa for safe havens in Europe, developments that have reignited political controversy regarding refugee, immigration and counter-terrorism policies and actions throughout the European Union (EU). Local solar and renewable energy mini and microgrids “have emerged as one of the most promising off-grid solutions for low-income rural populations in India and other developing countries because of their ability to deliver reliable, sufficient and clean energy the last mile,” Deepali Khanna, director of the Rockefeller Foundation’s Smart Power for Rural Development program, told Solar Magazine. That said, the costs associated with sourcing and transporting equipment and installing solar/renewable energy mini/microgrids designed specifically to meet the basic energy needs of rural, low-income Indian households and communities can be unnecessarily high. They can also take longer than necessary to get up and running, at times requiring two to three months to complete, Khanna pointed out. 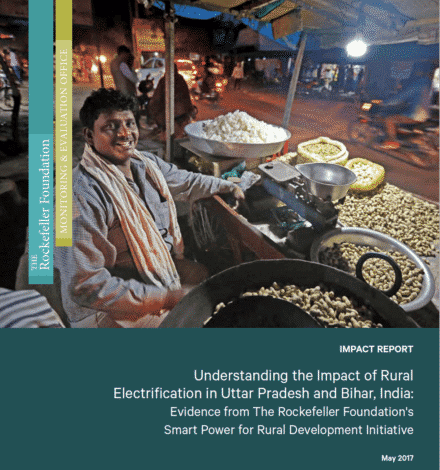 The Rockefeller Foundation launched the $75 million Smart Power for Rural Development program in 2014 to come up with and implement solutions. “SPRD offers a complementary model to the delivery of rural electricity using decentralized mini-grids based on renewable energy sources,” three program team members explain in a blog post. The sustainable development-renewable energy initiative “seeks to accelerate rural development and, in turn, improve the lives of the poor and marginalized.” Working through the program’s Smart Power India subsidiary, the Rockefeller Foundation has supported seven energy companies’ efforts to expand electricity services in rural villages across Uttar Pradesh, Bihar, and Jharkhand. 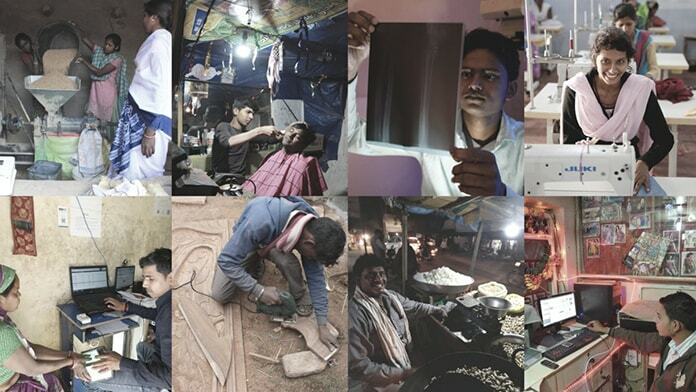 All told, the initiative has brought safe, reliable and affordable emissions-free electrical power to more than 40,000 Indians, the majority poor and members of groups long excluded from mainstream Indian society, the project team members highlight. The energy and socioeconomic data and information Smart Power India has been gathering and analyzing highlights the multiple return and benefit streams reducing the cost of properly designed and installed solar and renewable energy community mini and microgrids in rural India can yield. “We know what a difference energy access can make: a 13% increase in monthly revenues for small businesses, increased quality after-school study time for children, and 7% growth in new enterprises, and there are many other benefits,” Khanna highlighted. Khanna went on to single out the recent launch of the Institute for Transformative Technologies’ “Utility-in-a-Box” (UiB) as an example of the promising technological innovations the Rockefeller Foundation is helping off-grid solar and renewable energy researchers develop. “The foundation invested USD1.5 million to facilitate development of technologies that will help advance the growth of the mini-grid sector and accelerate 100% electrification in India at the household level,” he elaborated. According to initial performance data, ITT’s UiB reduces rural renewable mini-grid project capital expenditures 20% from existing levels in India. That makes investing in and deploying rural community solar mini-grids that much more attractive to investors and energy service companies. Off-grid solar and renewable energy technology and systems innovations such as ITT’s UiB have the potential to make a significant contribution in terms of enhancing India’s capacity to realize its ambitious universal electricity access, renewable energy, climate change action and sustainable development goals. That potential extends well beyond India’s borders, more specifically with regard to the African-Indian energy poverty eradication initiative that’s taking shape. 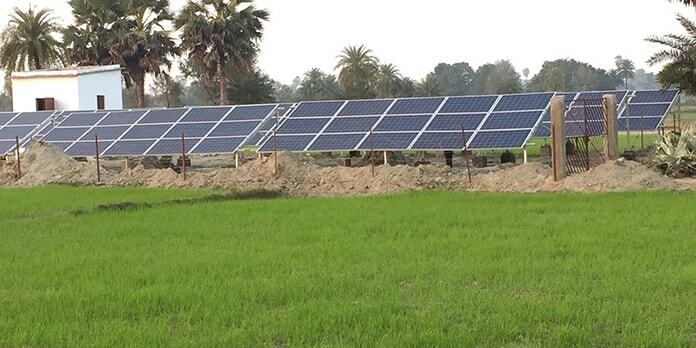 “The impact of deploying UiBs in India’s most energy-starved villages can be substantial. More communities can be quickly connected to the electricity they need to power their homes and businesses, amplifying the socioeconomic benefits of energy access to even more underserved communities while leapfrogging rural economic development,” Rockefeller Foundation Smart Power for Rural Development program members write.